The D’art Design Gruppe conceives customized flying constructions for adidas Originals in Germany, Austria and Switzerland. The latest designs and limited editions of famous fashion labels can now be found far away and hidden from the usual shopping street. Brands are arranged in an interesting and unusual way in simple and temporary locations. Migrating shop installations shift typical marketing and advertising strategies towards a new direction of Radical Advertising. 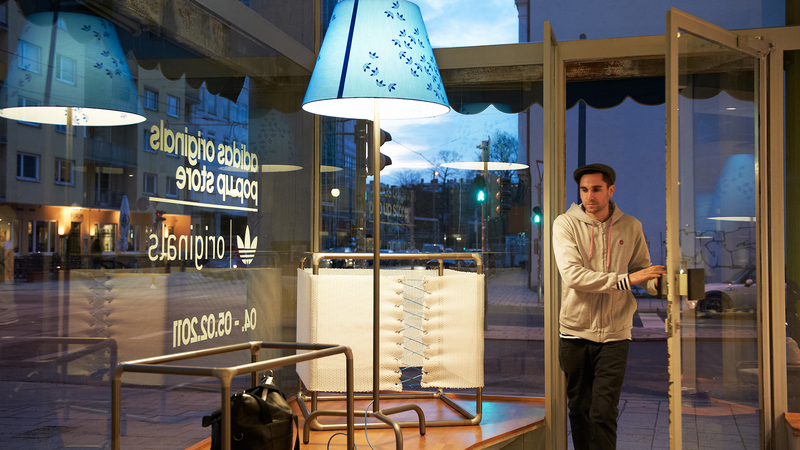 These pop-up stores take up the advantages of guerilla marketing and thus create a more economic alternative to flagship stores in shopping streets. The shoppers experience a moment of recognition and surprise that stimulates their senses and motivates them to tell others about this experience. 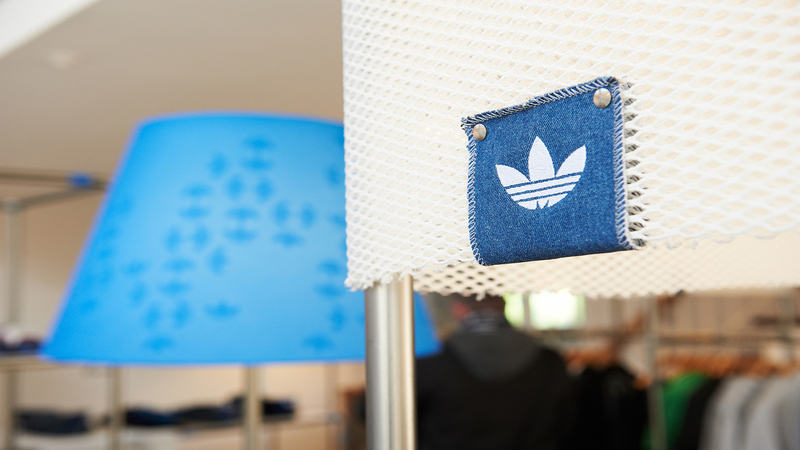 It was such a task that adidas Originals entrusted the D’art Design Gruppe with at the beginning of 2011. The request was to create a temporarily functioning shop architecture. 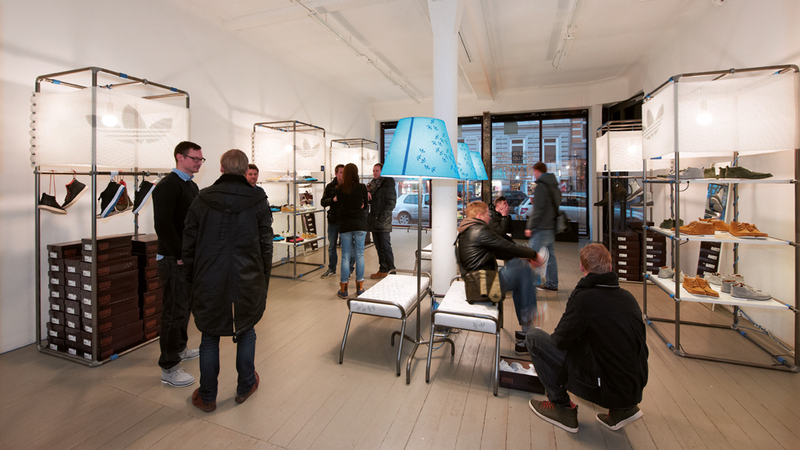 The challenge was to conceive a shop concept, which is modular, practical and at the same time hip and urban. 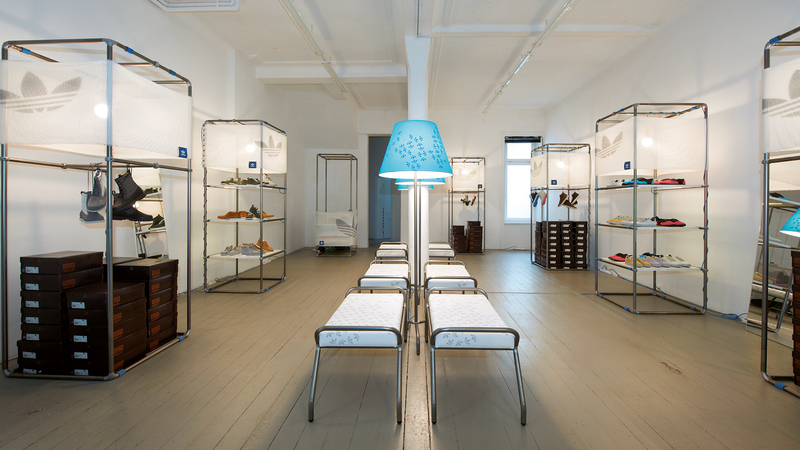 The pop-up stores migrated through Germany, Austria and Switzerland. The flying constructions opened their doors for two to three days. They presented the collections ransom and blue. 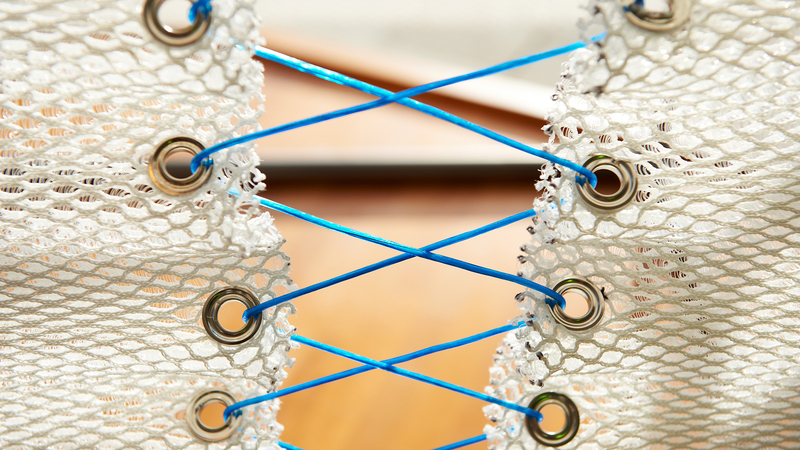 The main design elements are the mainly white gauze and the shaping steel elements. Modern purism signalizes the urbanity of the brand adidas and is at the same time simple to assemble and disassemble. The construction with posts offers space to hang or lay the articles in the best and most individual way depending on the space situation. 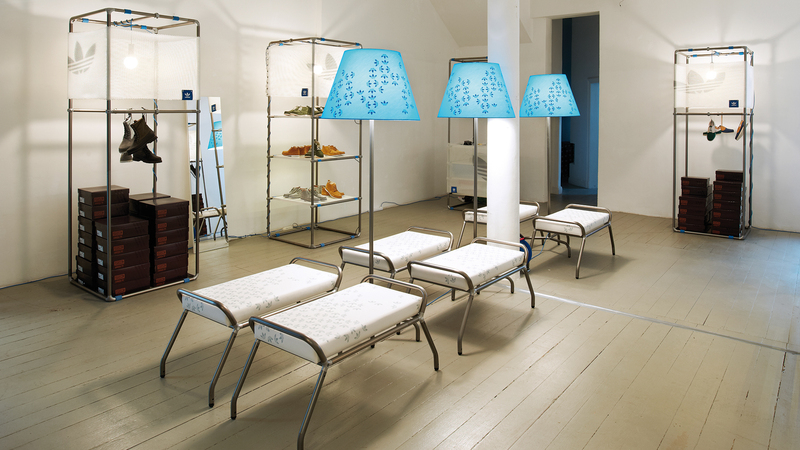 Seating areas in the flying constructions are benches that, together with the matching lamps, invite to linger. All space elements carry the adidas trefoil, which is differently arranged and highlighted functioning as a design element. 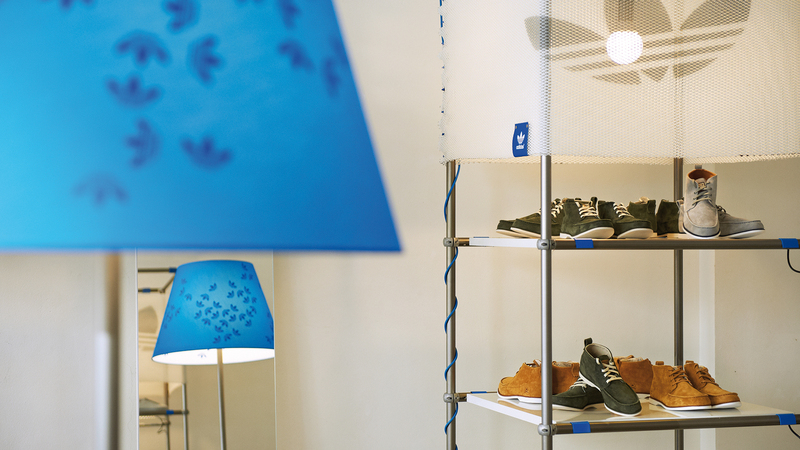 The eye-catchers are the blue lamp shades with the small “leaves” that arrange the brand logo playfully and at the same time discreetly.